Last week social media was abuzz after an animal rescue group posted photos of a purported massacre of bomb sniffing K9s in Kuwait. The dogs were apparently killed after a U.S. security company lost a contract to protect an oil refinery. 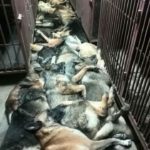 Since those photos were posted, a number of people and companies have denied responsibility but no one has denied the dogs were slaughtered. At the heart of the controversy is the U.S. company, Eastern Securities. A friend at our embassy in Kuwait tells me the company is known in the industry as E Sec. Piecing together various media reports, E Sec had a contract with the Kuwait National Petroleum Company (KNPC). Due to sectarian violence in the Middle East, KNPC hired the company to provide both guards and trained K9s. 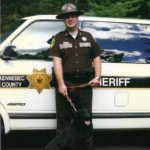 The popular website Snopes reports that E Sec employed over 140 K9s. 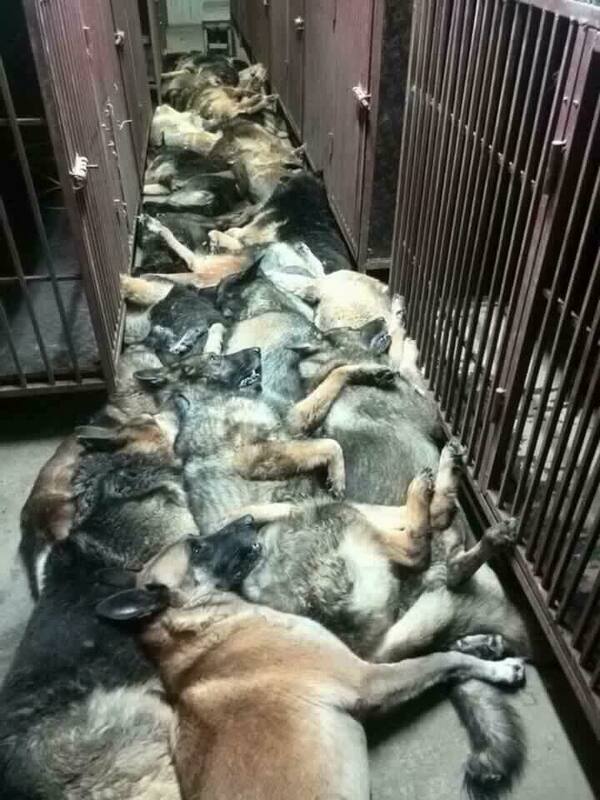 When the contract was cancelled, at least 23 of the dogs were reportedly slaughtered. It is unknown if the other dogs are still alive. 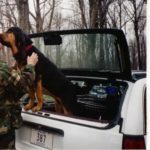 USK9 HAD NO PART OF SUCH AN INHUMANE ACT. If if this alleged massacre of dogs is validated, our position shall be one of absolute condemnation of such a gross and vile act against defenseless animals. At USK9, we are true animal lovers and have always believed and treated each and every dog as “man’s best friend”. To see these type pictures simply makes all of us here sick to our stomachs. So who killed the dogs? A story by the New York Post says that former employees of the company have come forward and accused the company of long standing animal abuse. So how do we fight back? How can a worker from a third world country fight back against a company in the U.S. for abuses that took place in Kuwait? My answer may surprise you. As whistleblower lawyers, we are always looking for innovative ways to take on greed and corruption. This time, we think we have an idea that might work against animal abuse too. If the reports about the slaughter of innocent animals and abuse of employees are true, E Sec needs to be punished. And it just so happens that Eastern Security has contracts with the U.S. Department of Defense. If the company misrepresented the training and qualifications of its work force, it probably violated the False Claims Act, an 1863 law that pays cash awards to whistleblowers with information about fraud involving government funds. Recently one private security company was prosecuted for hiring “skilled marksmen” to guard a U.S. military base. The marksmen were supposedly crack Ugandan commandos. A company official, tired of the lies and worried about the security of our military men and women, blew the whistle. He said the men couldn’t hit the side of a barn while standing a few feet away. The company just fudged the shooting scores so they could get paid. Getting back to E Sec, we need just one whistleblower to come forward with evidence that the company defrauded the U.S. government on one of its government contracts. Some of you may be skeptical of using a law from the Civil War to go after E Sec in 2016. Since 2011 we have collected over $100 million for our whistleblower clients using that 1863 law! There is another angle worth considering too. The Foreign Corrupt Practices Act (FCPA) allows whistleblowers with information about bribes or payments to foreign officials to also get rewards. We have no knowledge of Eastern Security bribing Kuwaiti officials or folks from the Kuwait National Petroleum Company. Having been in this business for awhile, however, we learned that fraud begets fraud. A company that slaughters innocent animals and holds its own employees captive is certainly not above bribes. Whistleblowers are our new American heroes. Like our soldiers and private security officers, they step forward when others won’t. Under the 1863 federal False Claims Act and the FCPA, a whistleblower need not even be a U.S. citizen. To earn an award, one must have inside information about the misconduct and be the first to file. We have helped our whistleblower clients collect over $100 million in award monies. No company is too big or too powerful for us. If you have information about Eastern Security (or any other vendor defrauding the U.S. government or paying bribes), call us. All inquiries are protected by the attorney – client privilege and kept completely confidential. or by phone at (US) (414) 704-6731 (direct). 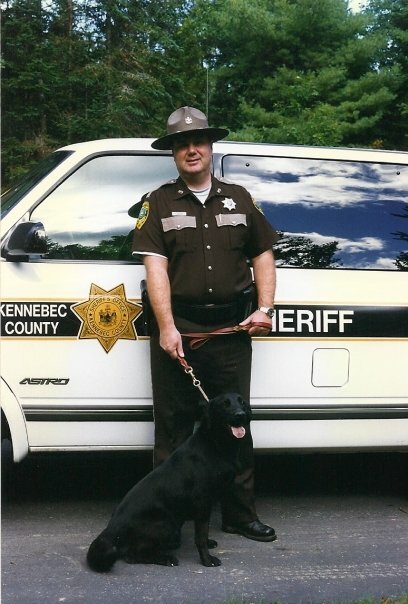 *In addition to my long career as a whistleblower lawyer and former prosecutor, I also proudly served as a K9 handler and deputy sheriff with the Kennebec County Sheriff’s Department. Like our friends at USK9, I deplore animal abuse. There is no room in civilized society for people who mistreat animals or people. If you have information about this senseless act of violence, call us. Please.